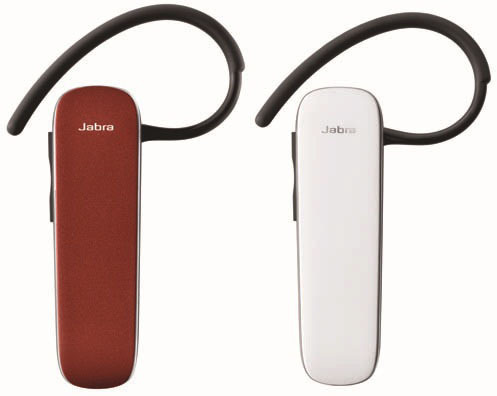 Jabra, the Bluetooth solutions provider, has launched the EASYGO Bluetooth headset which is now also available in red and white colour besides the usual black version. It is equipped with Digital Signal Processing (DSP) technology for noise and echo reduction and also features automatic volume adjustments which makes the volume to stay constant even as users move between different noise environments. It is easy to operate as it allows seamless pairing and also has Voice Guidance feature which talks to the user. It tells the user audibly into his or her ear as and when it needs a battery recharge or if it gets disconnected from the phone. Other features include larger icons on the Status Display that light up so you can also see the battery level and connectivity status, and a slider on the back of the device to switch it on and off.